As most of you are aware I'm rarely seen without a slick of eyeliner on my upper lash line. I don't remember a time where I DIDNT wear eyeliner, it's been my go to for years and years now! I feel I'm fairly qualified talking about eyeliner but realise I hardly ever review them on the blog. So here's a little review of one I've been using recently. 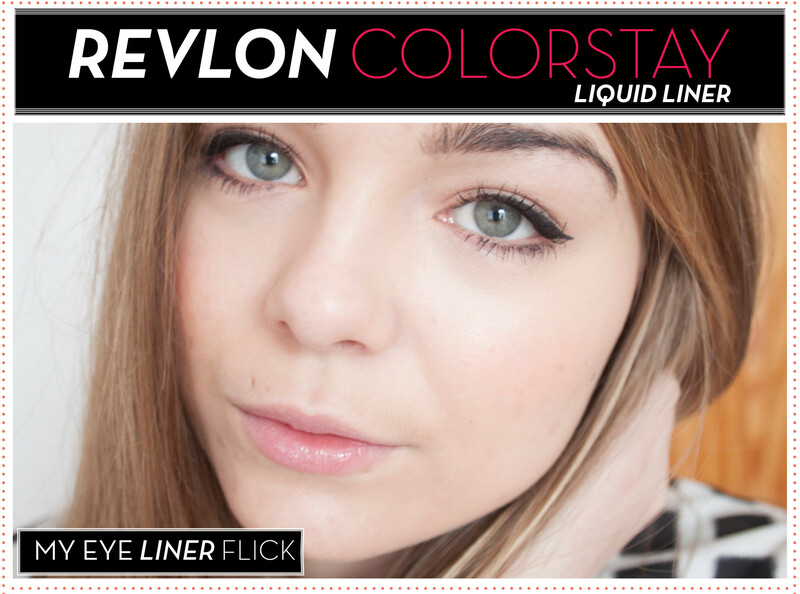 The Revlon Colorstay Eyeliner itself is super black, one of the truest black liquid liners I've used. I always find some of them dry a little on the grey side and I like mine to be deep, dark black. The finish is fairly matte which I actually do personally prefer in an eyeliner. It dries quickly so no need to worry about transferring or blinking while applying! This really lasts throughout the day without fading or migrating. It doesn't flake or look patchy as the day goes on either. As you can see from my sloppy application (and I really think I'm a cat liner pro!) the brush was slightly hard to get used to, I felt it dragged a little on the lid which left a jagged finish. I do sort of like the brush it is slightly stiffer than I'm used to so I felt it was harder to get a smoother edge. However you can get a precise and even line on the upper lash line. If it had a little more flexibility in the brush it would be a lot easier to use. I like that the brush is really small as you can really get into the lash line and define the eyes with a little line rather than having a big fat line. Overall I did like the Colorstay Eyeline, I think it's a great all round liner despite it's brush issues and the formulation is spot on. 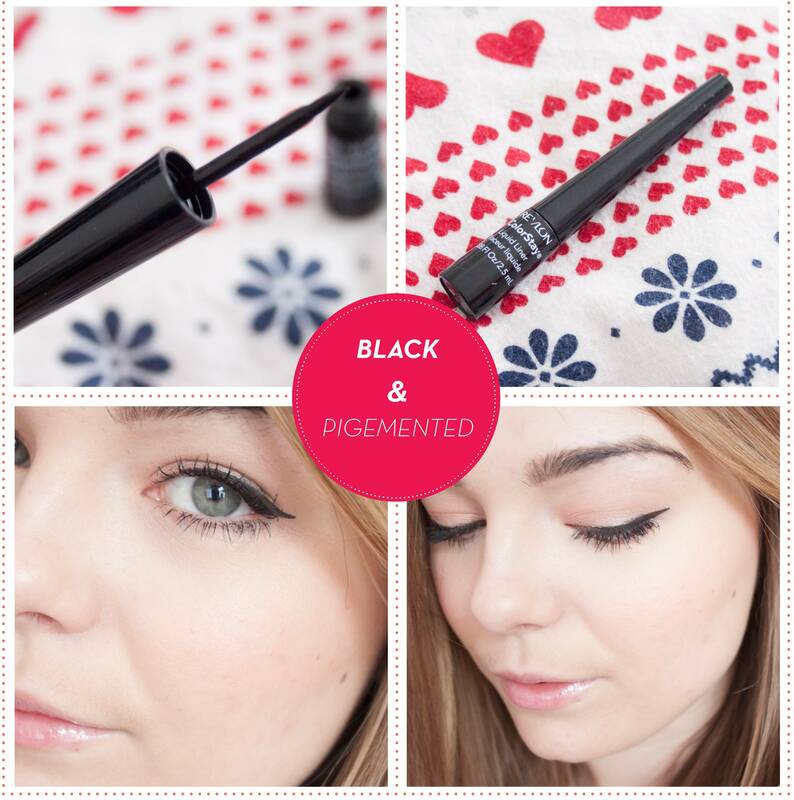 It ticks most of my boxes for things I look for in a eyeliner so I was pleasantly surprised. I swear I used to use a Revlon Eyeliner that used to really sting and burn my eyes so it put me off the eyeliner range from Revlon. This one has changed my mind and I can honestly say I'm a big fan!